The original may have been poorly received, but players are flocking to the remake in droves. Many Final Fantasy fans enjoy enthusiastic debates about their beloved series. They'll discuss which classic game was the best, or which recent entry was the worst, but everybody generally agrees on one thing: Final Fantasy XIV was all kinds of awful. The MMO first launched in 2010, suffered the withering gaze of reviewers, and ultimately closed its doors in 2012. (Compare this to Final Fantasy XI, which launched in 2003 and is still being played.) All told, this makes the prospects for Final Fantasy XIV: A Realm Reborn, rather uncertain by comparison. 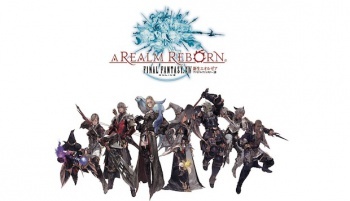 Still, gamers may be a more forgiving bunch than we suspected after all; Square Enix has revealed that one million players are currently registered for the new FFXIV beta, a full two months before the finished game reaches store shelves. The news must certainly be encouraging for Square Enix, since from all appearances the company was working hard to address the original's missteps. "Fans around the world were expecting something great, and we feel like we let them down and we lost their trust," director Naoki Yoshida said at last year's Gamescom. "To regain that trust we have to show them we're still behind the project, and that Square Enix is dedicated to making something that's great ... In the 25-year history of the Final Fantasy series, there hasn't been a Final Fantasy that has failed. We can't - we just can't - let this game end in failure." If you'd like to see how A Realm Reborn is coming along, Square Enix is still taking beta applications through its website. Otherwise, the completed game will be made available to subscribers on August 27, 2013.